MERRIMACK, NH--(Marketwired - May 20, 2015) - Brookstone, a leader in the design and development of innovative technologies, intelligent systems and unique lifestyle products, announced the groundbreaking addition of JD Humanoid and Six Hexapod EZ-Robot® kits to its product lineup. EZ-Robot is a glimpse into the future. They feature remarkably easy-to-use Clip'n'Play Technology that enables users to build their own robot without any tools. EZ-Robots have advanced mobility, visual- and speech-recognition, and can be easily programmed and operated via iOS or Android devices. Brookstone is the first nationwide U.S. retailer to carry EZ-Robot kits. "We're thrilled to offer this next generation of technology to consumers," said Brookstone CEO Tom Via. "Brookstone is on a worldwide quest to onboard cutting edge inventors that will facilitate the delivery of products designed for smart living. DJ Sures, inventor and founder of EZ-Robot is redefining educational fun and igniting it with a passion for new discovery." Canadian Roboticist and EZ-Robot founder DJ Sures explained the significance of his technological achievement. "The EZ-Robot platform is more than just an entertaining toy for building robots," he said. "It's an educational tool that challenges and shapes inventor creativity from novice to advanced capabilities." Sures continued, "When users interact with their robot, they are taught logic, programming basics and modular design." "There's a synergy between Brookstone and EZ-Robot as both companies were built upon a culture of innovation," said Sures. "What's more, Brookstone's expertise enables the company to identify and introduce new technologies to mainstream audiences, and that's our mission too." 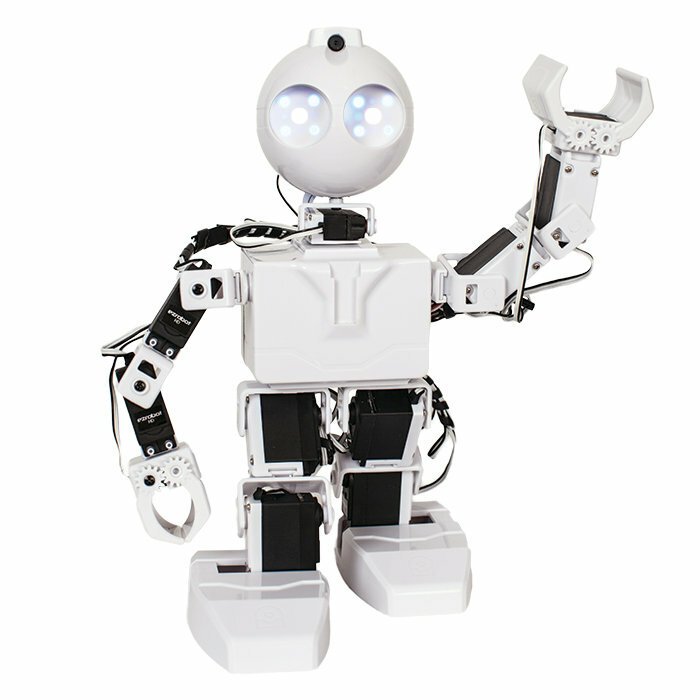 JD Humanoid is a 12.5-inch tall humanoid robot that can walk, dance, give high-fives, pick up objects and perform complex sequences programmed by its owner with drag-and-drop simplicity using the included EZ-Builder software. The camera in its head can be used for vision recognition (color, motion, glyphs, QR codes, faces and more). 18 RGB LEDs in JD's eyes can be programmed for unlimited expressions. Six Hexapod is a six-legged, 14-inch wide creature that moves with a truly mesmerizing gait. While six legs give it maximum stability in motion, it needs only three legs to balance while standing, and can walk with just four. Its other legs can reach for new foot positions, or manipulate objects. 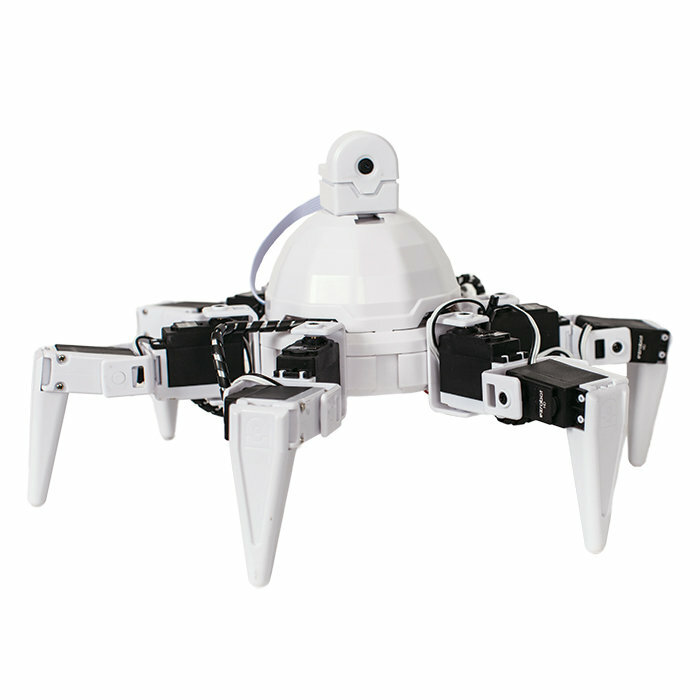 Hexapod uses a built-in camera in its head to act and react with its surroundings. It includes EZ-Builder software for creating custom robotic programs with drag-and-drop simplicity via iOS or Android devices. Now available at Brookstone.com and coming soon to Brookstone stores across America, the JD Humanoid Robot Kit retails for $429.99. The six-legged Six Hexapod Robot Kit retails for $399.99. Product videos available for view at Brookstone.com. Brookstone, founded in 1965, is a specialized nationwide retailer of innovative and lifestyle products designed for smart living. Brookstone offers a diverse collection of exclusive, uniquely designed, high-quality products through a multi-channel strategy including catalog mail orders, phone orders, online at Brookstone.com and 218 store locations in shopping malls and high-traffic airports across the US and Puerto Rico. In a joint venture with Sailing Capital and GE Capital, Sanpower Group acquired Brookstone in 2014. Dedicated to growing Brookstone globally, Sanpower Group will assist in developing the British and Chinese markets starting with Hongtu Brookstone in China where the expected expansion will be for more than 300 stores by 2016.